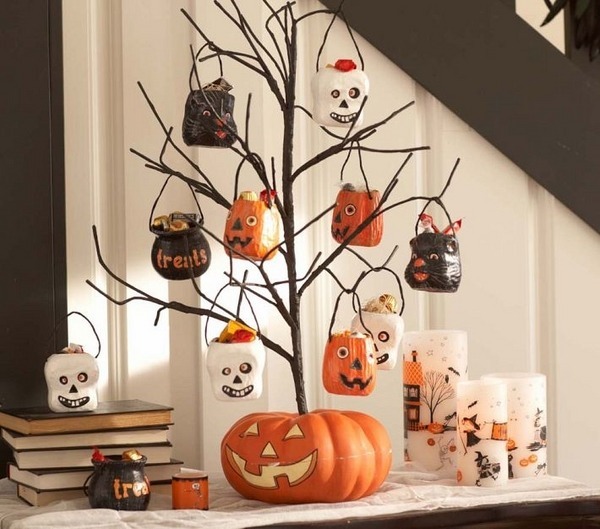 Halloween tree decorations are nowhere as popular as Christmas trees, you should not neglect this type of decoration as it can be a very creative way to add the holiday mood to your home. 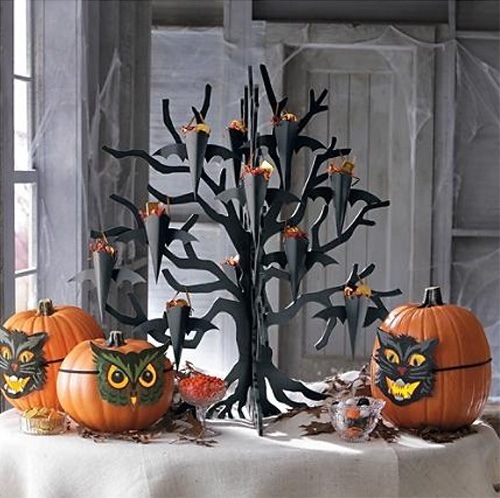 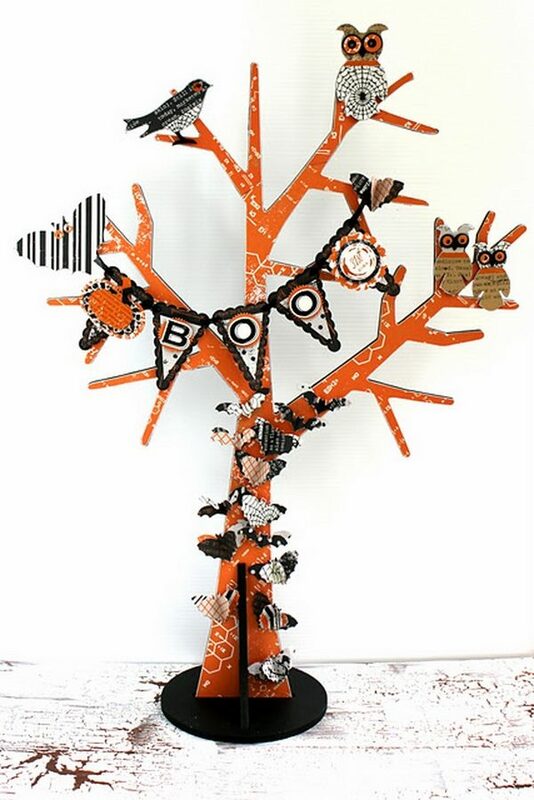 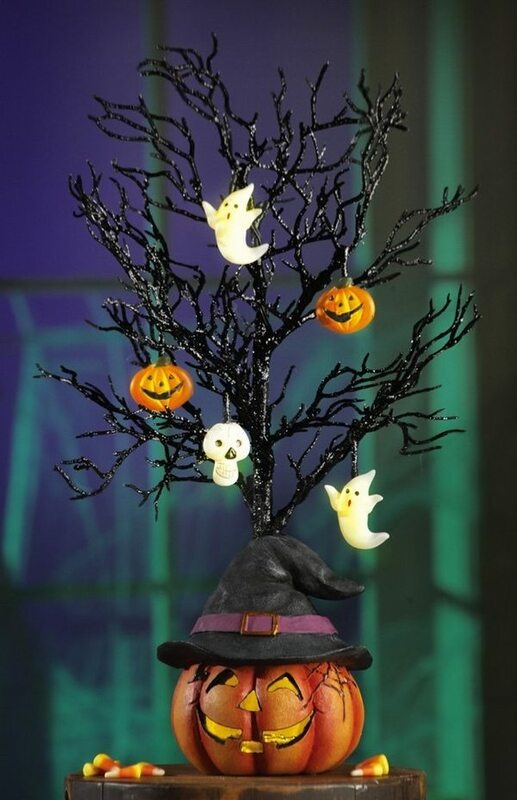 Halloween trees can be a part of the festive decor or a centerpiece on your table. 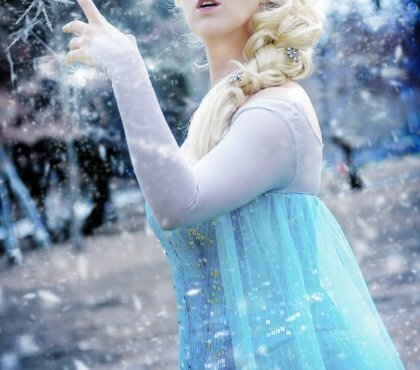 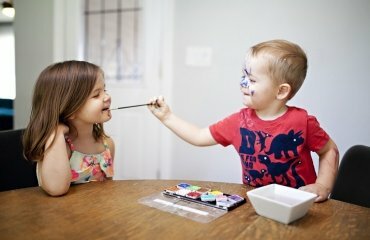 Either way, this is one more option for you to be unique and original so do not miss it. 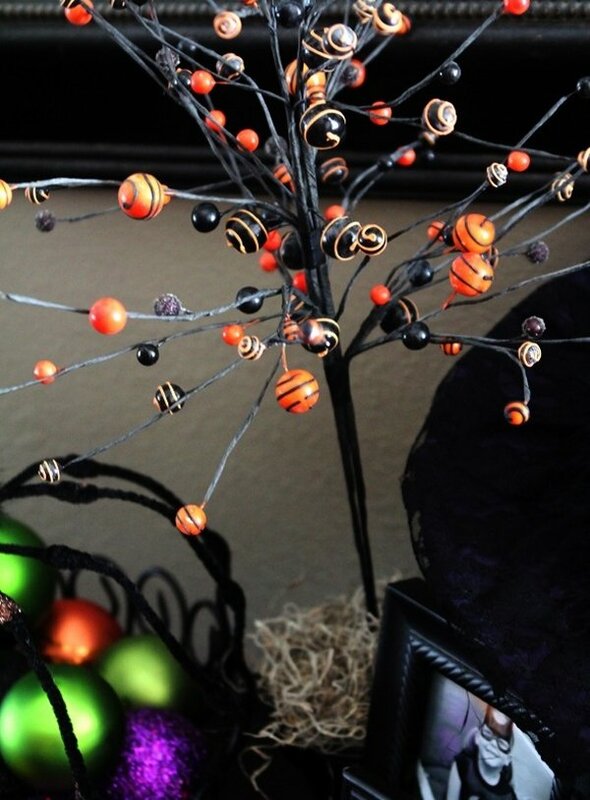 Every holiday is a great time for decorating, an opportunity to add some festive atmosphere to the home and Halloween is no exception. 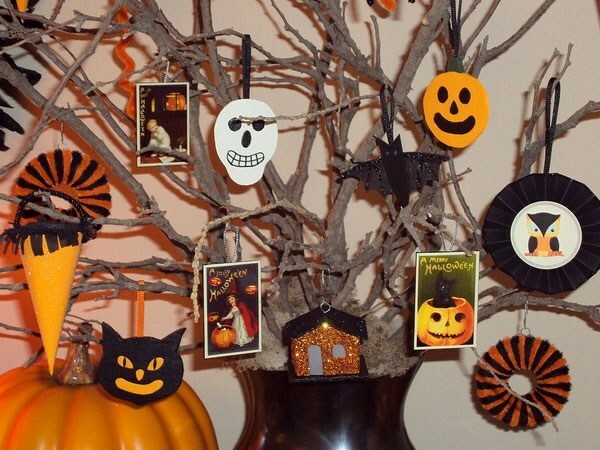 Halloween tree decorations provide great opportunities for creativity. 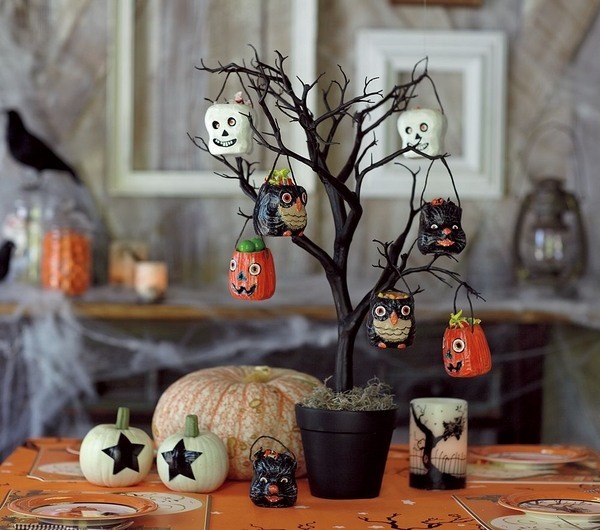 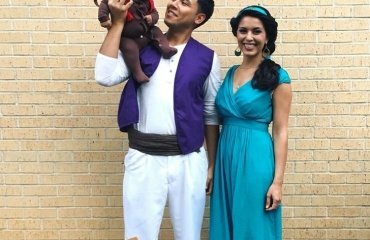 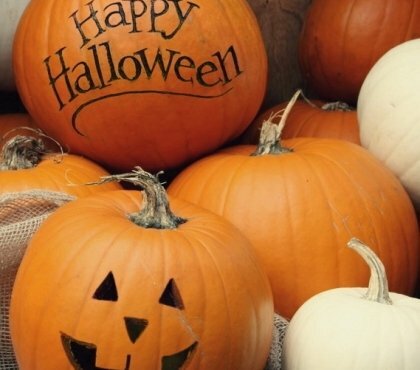 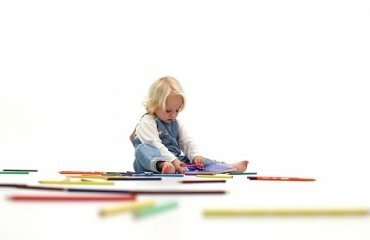 You can spend some wonderful time with your children while crafting the ornaments for your Halloween tree and some spooky pumpkin ideas will come handy for the ornaments. 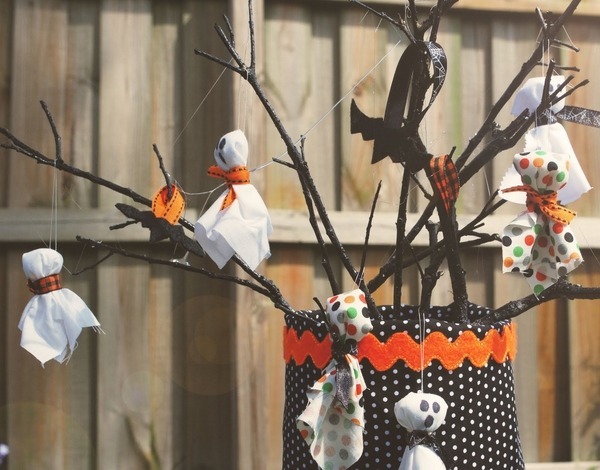 Here is an easy paper craft idea, suitable for small children – let them cut the silhouettes of flying bats, black cats, pumpkins and witches. 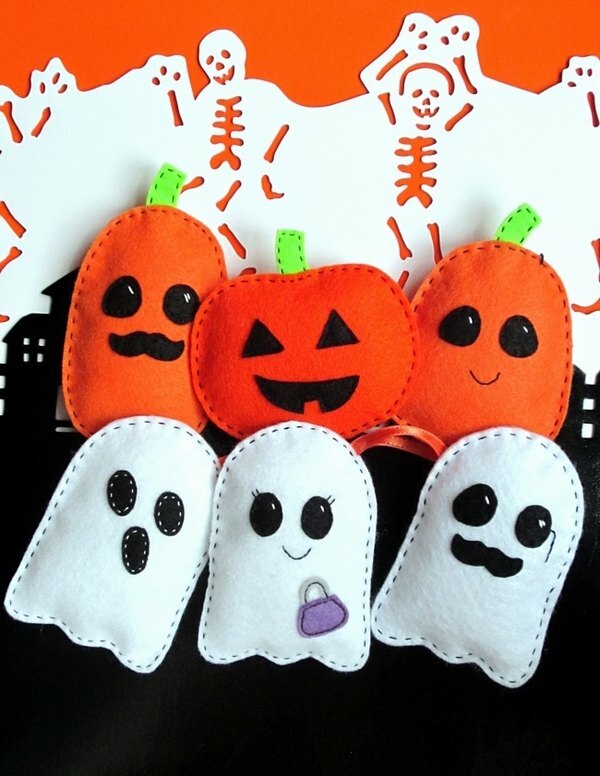 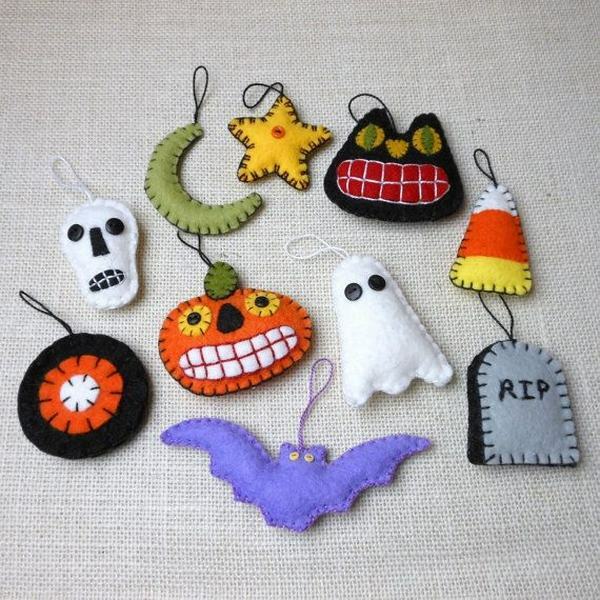 Older kids can help you with homemade Halloween ornaments from felt or other fabric. 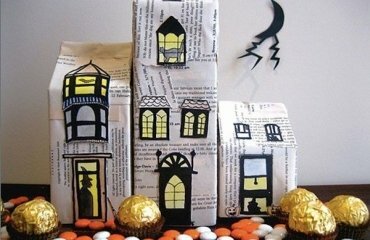 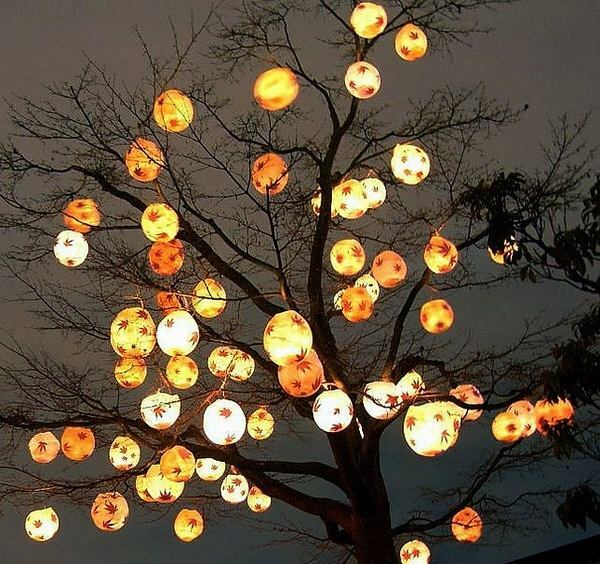 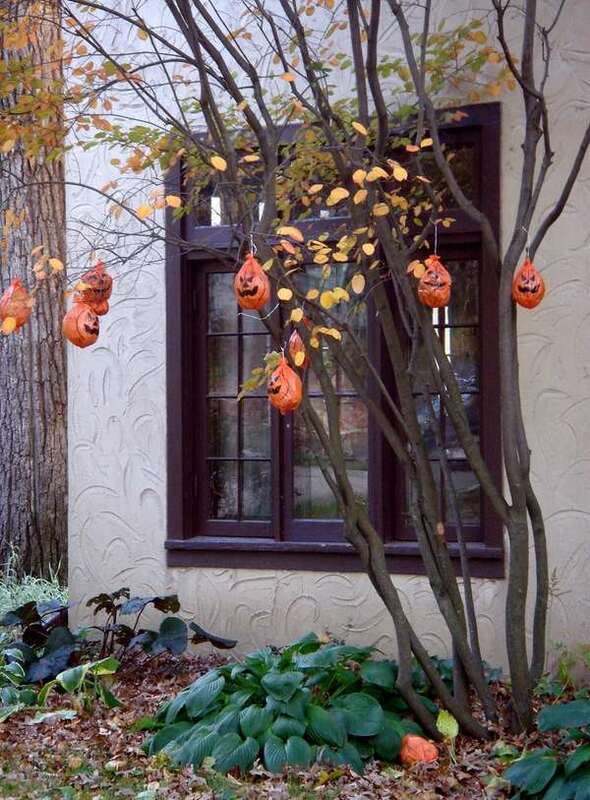 Paper lanterns are another way to decorate your Halloween tree and would be a joy for your children. 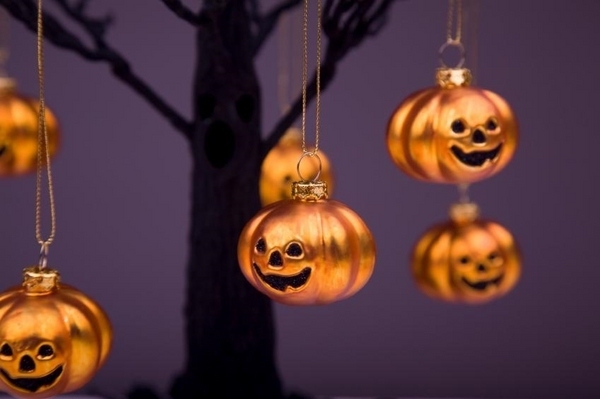 If the idea for Halloween tree decorations is new to you and you want to improvise, there is no need to buy a special tree. 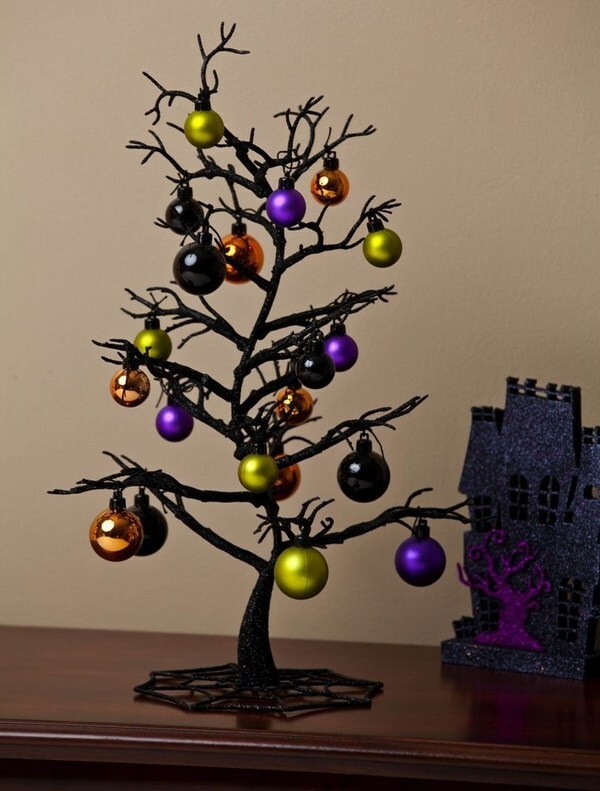 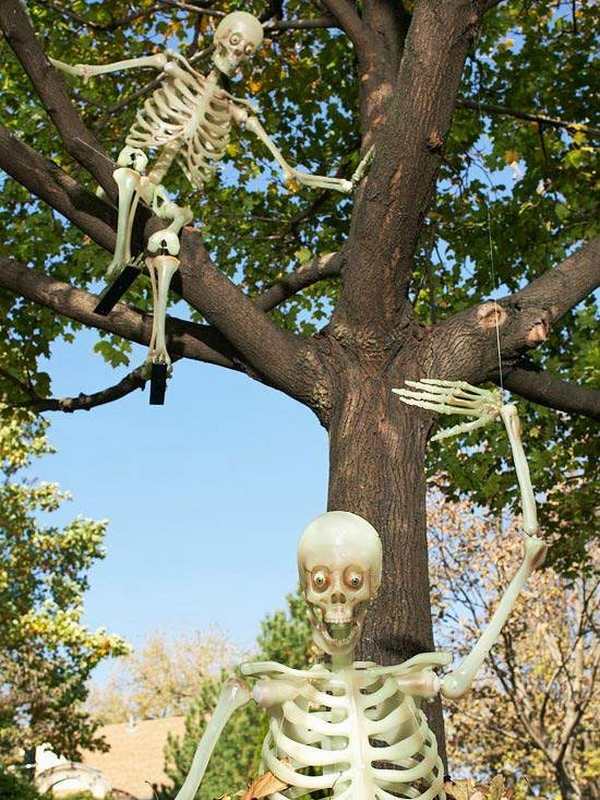 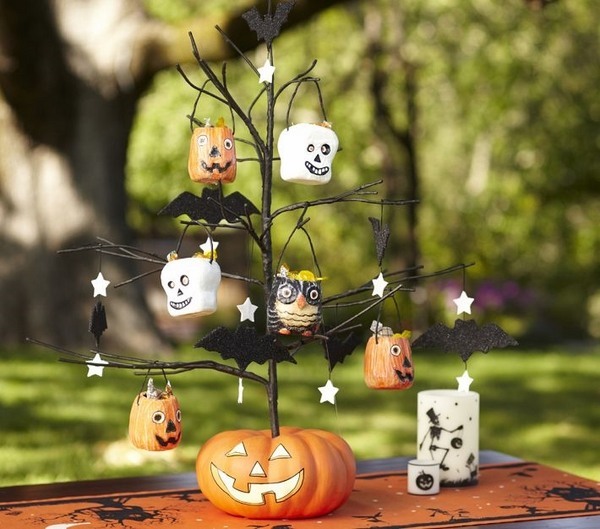 Any tree in your garden can be decorated with Halloween ornaments. 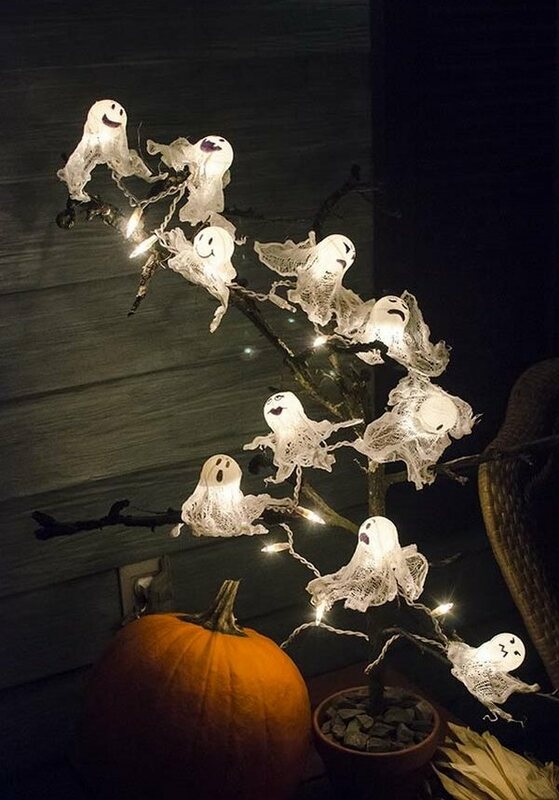 As for indoors – a few bare branches will do the trick. 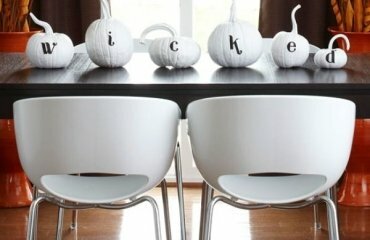 You can place them in a vase or paint a flower pot in black or orange. 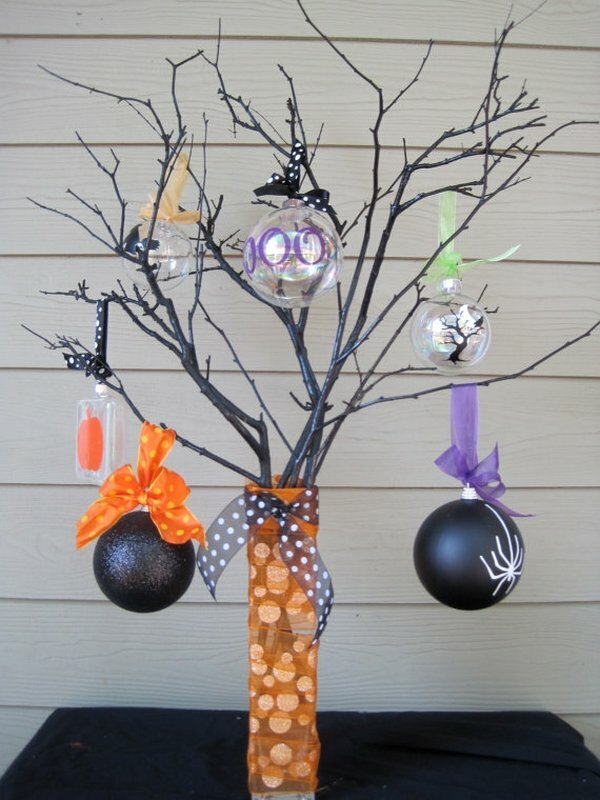 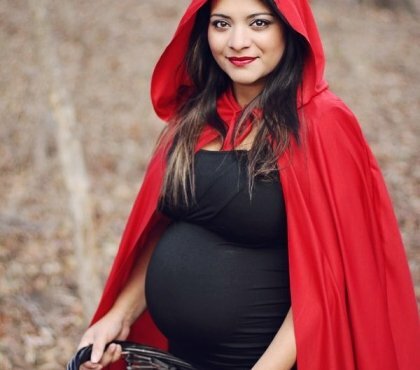 You can spray paint the branches in black or white and even add a few blood drops with red nail polish. 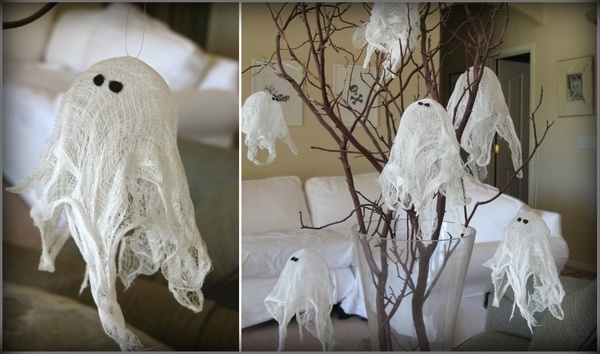 Add the ornaments – ghouls, ghosts, pumpkins and other creepy stuff, some shaggy cheesecloth and there you are – you have a spooky Halloween decoration in just minutes.